My 5 year old recently got invited to an animal costume party and wanted to go as a snake! A snake is a great costume idea for Halloween too, snakes can be pretty scary if you ask me! OK, snake costumes here we come! I've put together my favorite ideas for dressing up as a snake. This costume is lots of fun and can be taken in a scary direction for Halloween. Have your child practice hissing and slithering too! You'll find snake costumes, snake hoodies, snake hats and other snakey dress up ideas on this page. This snake hoodie is great fun. It can be worn as regular clothing with a snakey touch or paired with green track pants for a snake costume. The fun feature of this hoodie is that when a child wraps their arms around themselves the cobra face appears complete with fangs! 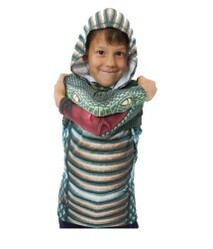 The snake hoodie is available in sizes 2T through to 14 so it works for a toddler, preschooler or bigger kid. There's even an adult cobra hoodie for older teens and adults. This Cobra Ninja costume is great fun! The costume includes a black jumpsuit and a detachable cobra hood and face mask. 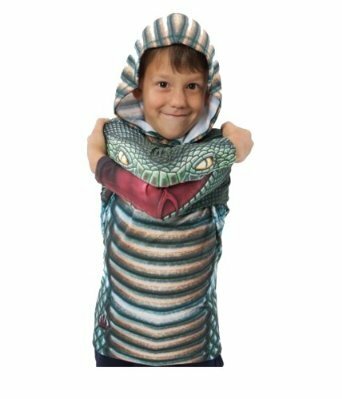 This snake costume is really awesome, but unfortunately it only seems to be available in smaller kids sizes. The fangs and the red forked tongue are a nice touch, and kids will enjoy the snake ninja theme to this costume. If your snake costume needs a weapon then there's this cool LEGO ninjago snake sword from the Ninjago Fangpyre tribe. It's a foam sword with a very cool snakey design. 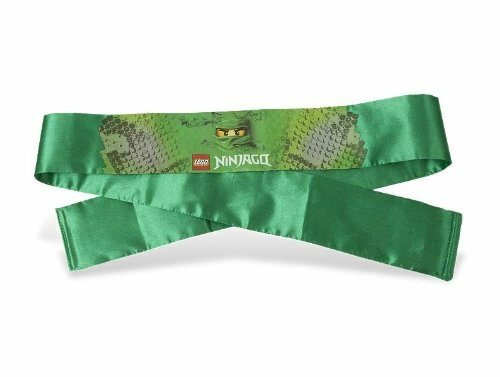 There's also a LEGO Ninjago green bandana with a snakeskin design printed on the front. This bandana is from the Ninjago 2012 Rise of the Snakes theme where the enemies are snake people from the 5 snake tribes of Ninjago. 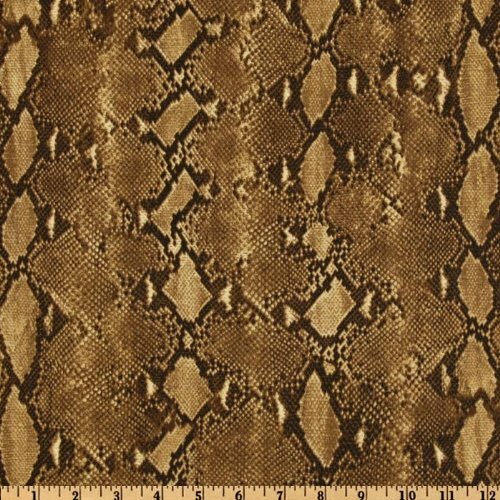 Another snake costume option would be to make a snake costume from snakeskin fabric. A snake costume can be as fancy or as simple as you like. You could just cut out a simple tabard with a hole for the head. Plus a tied snakeskin bandana or headband. Or if you have the sewing skills you could make a snake suit with a hood built in and a long stuffed tail at the back. You can add some fun costume accessories to a snake outfit as finishing touches. A pair of kids snakeskin print sunglasses is great fun and kids will be able to wear them regularly, not just when they're in costume. A cobra snake mask is a rather scary finishing touch - perfect for a Halloween snake costume. And the HeadCase snake print headscarf is a versatile and useful accessory. It's an adult-sized headscarf that can be worn in various ways. You can wear it as a full balaclava to create a snake head or just as a snake headband, or maybe just have it loose around the neck as shedding snake skin? A plush snake hat can turn a pair of green trackpants and a green t-shirt or sweatshirt into a snake costume. A snake hat is fun for roleplay too and it's quick to put on and take off. We have a few hats like this in our dress up collection. The kids wear them outside as fun hats and use them for dressing up as well. Another option is to wear a long plush snake draped around the shoulders. 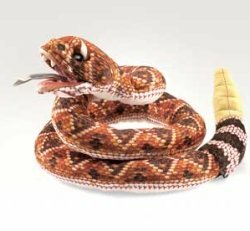 This Folkmanis Rattlesnake Puppet is a good choice as a child can put their hand inside the head and operate the snake. This Rattlesnake is 3 feet long if you stretch it out. This snake works well with a snake expert costume - just wear a kids paleontology vest to dress up as an explorer or animal expert. 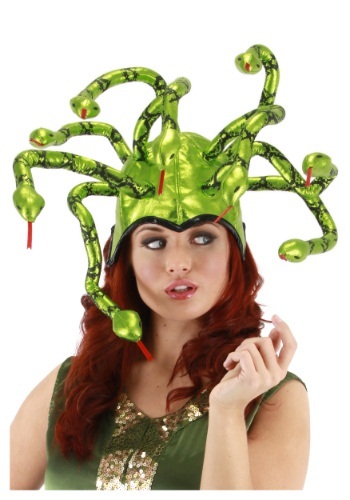 Or if you're going for a fantasy snake theme then you could use this fantasic medusa hat. You can have a lot of fun with this snakey hat! Snake face paint is a fun way to dress up as a snake too. These videos include some quite different snake face paint designs. There's a full snake face, a complete snake as a decorate, and a snake body with a mouth over the child's mouth. These reptile or snake eye cupcakes are simple and effective. 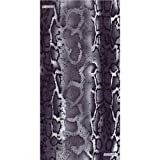 Great for a snake, dragon, reptile, animals or nature themed party. Snake party favors for a snake themed party. Snakes work well for nature, safari and reptile themed parties. Do you know a child who likes snakes? 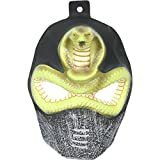 I do, so I've put together a collection of the best snake toys for kids who like nature and scary creatures. Do you need a snake party food idea? I made this fun cucumber snake with carrot snake tongues for my son's birthday party.